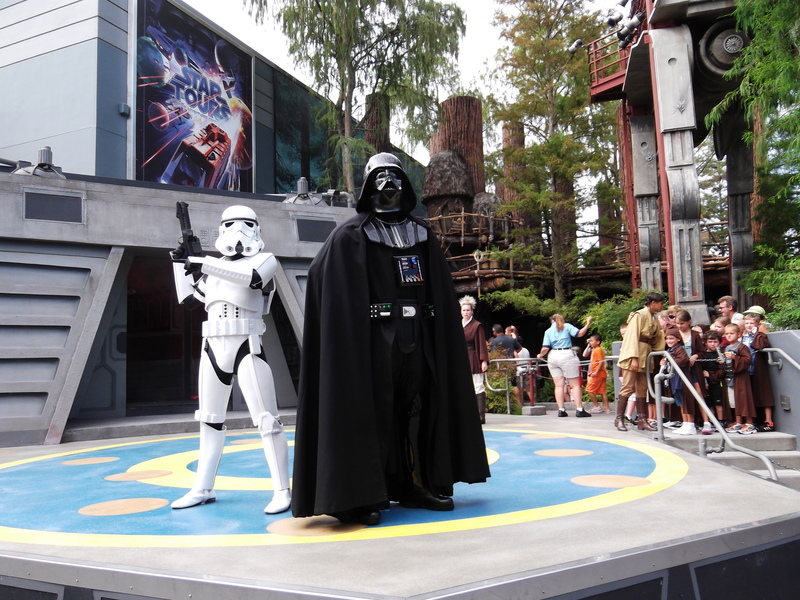 The show is really fun for kids who like Star Wars and aren’t afraid to be up on stage – the training is fairly fast paced and I have to admit, it’s a little intimidating to see Darth Vader storm out onto the stage with his cape flowing behind him, ready to do battle. I’ve seen some smaller kids get scared at that point, but it all depends on the child’s personality. The young Jedis are given robes and lightsabers before training begins. 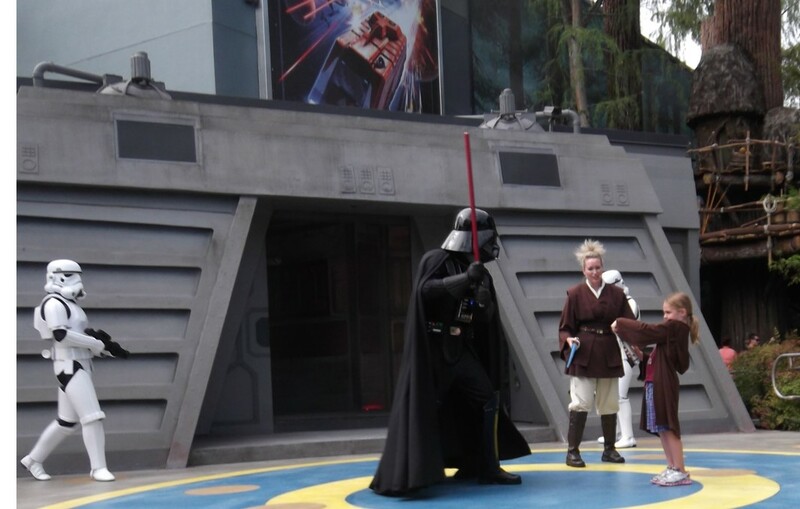 Before the Jedis face Darth Vader, a Jedi Master trains them on how to activate the lightsaber and use it against an opponent in a series of moves. 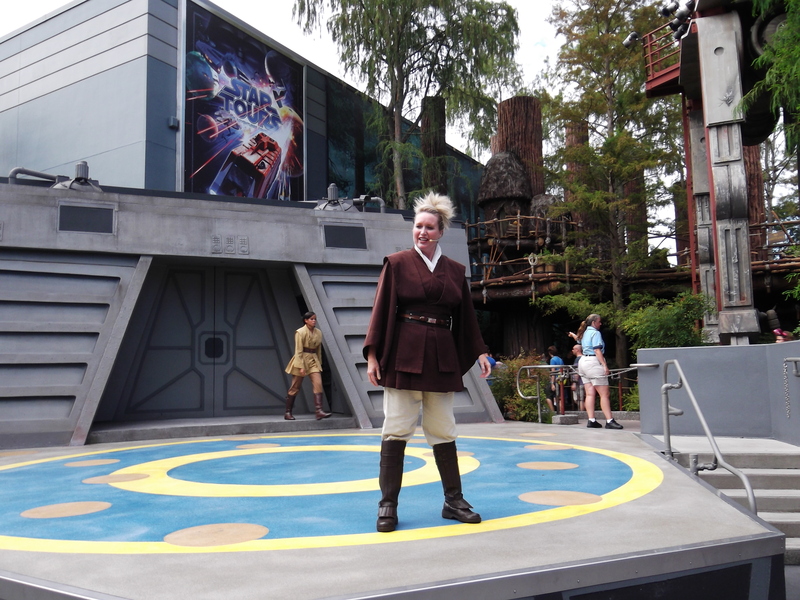 Then it’s time to battle the Dark Side! 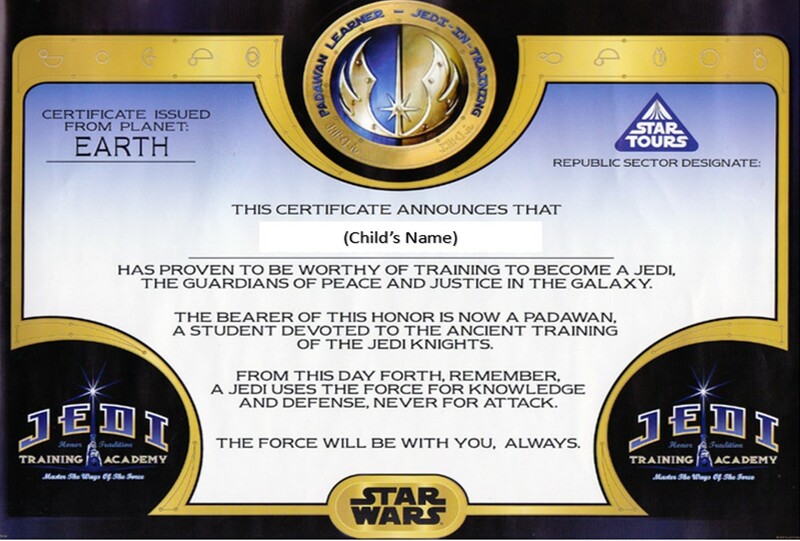 And when they defeat the Dark Side, the young Jedis are awarded a personalized certificate with their name as a souvenir! Even if your kids don’t participate on stage, it’s a fun show to stop and watch if you’re in the area. 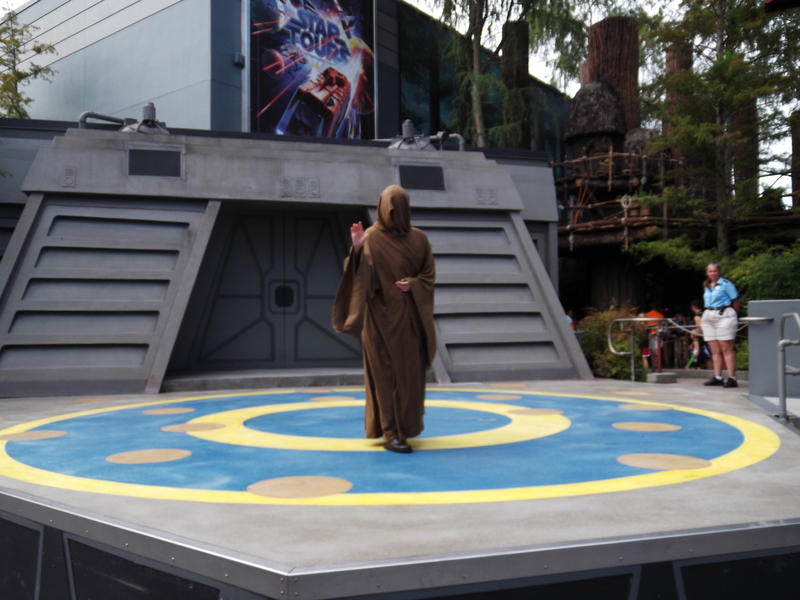 The Storm Troopers add some comic relief to the show so make sure to stay until the end!